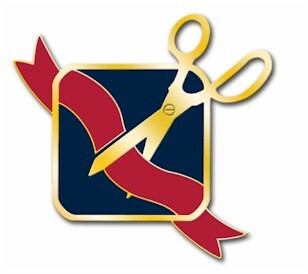 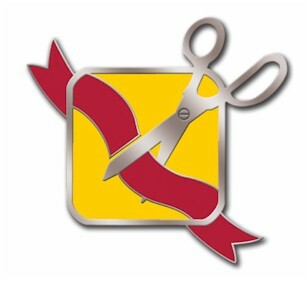 Now your executives and guests can proudly wear a symbolic ribbon cutting pin on your big Grand Opening day. 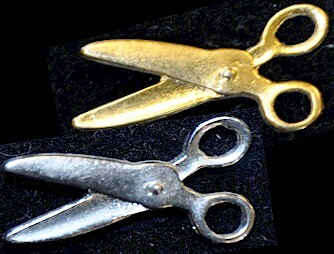 Ceremonial scissors lapel pin - choose gold or silver. 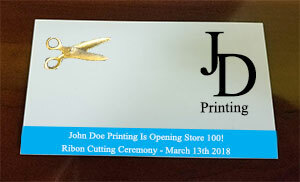 A great giveaway at your ribbon cutting and grand opening events, these scissors lapel pin presentation cards will let your guests feel like they're part of the event even if they're not cutting the ribbon! 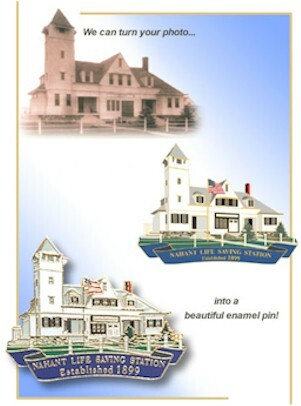 We can turn a photo of your building or your company logo into a beautiful lapel pin.